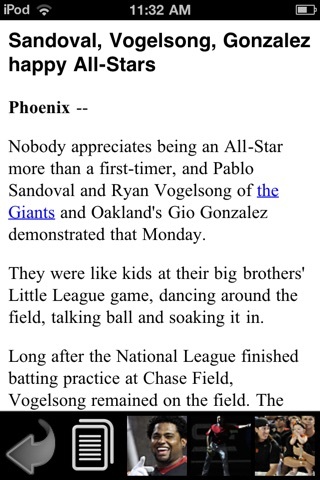 The San Francisco Giants are one of the best teams in baseball, and SFGate.com has them covered! Get the latest Giants updates from the award-winning journalists at the San Francisco Chronicle and SFGate.com. Follow the Giants step-by-step as they march through the 2011 Major League Baseball season in their quest to repeat as World Series champions. Today is July 31. The most recent top story is June 21. Other sections have content a year old. This app is completely useless for news. Let's see, day old news no matter how many times you try to refresh it. Limited, stripped-down content from sfgate's full site. One star rating here is being overly generous. This isn't on my iPhone any more! I've had an IPhone 6 for four months and still no SFGate app for it? Also, headlines are cut in the columns so you can't read them without clicking on it for the full blurb. This was a world class paper. May we expect a world class app? 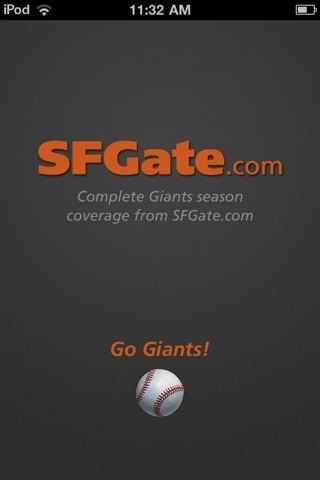 Only the SF Giants app. I have the proper app on my old iPhone and iPad version. The earthquake must've messed this app up somehow. It's stuck with no way out. 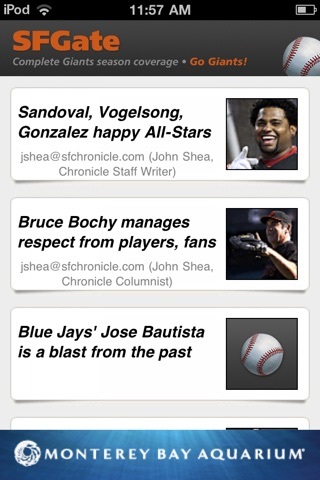 As a decades long reader of the Chron I wanted their iPhone app to be good. Through many versions it was, well, a POS. Slow and difficult to read with no functioning font control. Now the largest font size is readable on an iPhone and the layout is easily navigable and intuitive. Fast loading even on a 3Gs. Thorough worldwide news coverage and original SF reporting. The only better way is the true morning paper. Well done. Patience. Patience. There are other sources for news but when all the bugs and glitches are fixed, this app will be awesome as awesome gets. Things take time. This will be the best app the gate can do. It's all good. App has stopped updating. "Newest" headline is days old. Also have never been able to access all the promised features, only the text stories. Fix this thing folks! iPhone 4. I have been having an issue with there being no content in each article. I press the heading, but nothing else appears in the window.